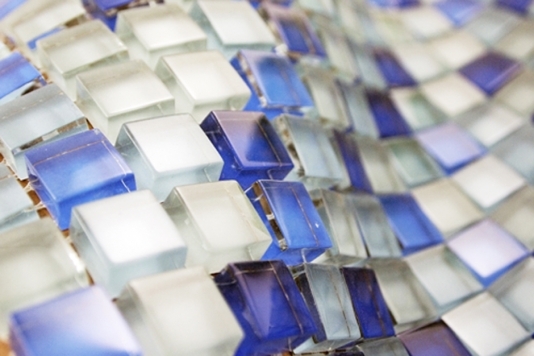 Glass Tile Manufacturer - We are China manufacturer of all kinds of mosaic and glass tile for the kitchen backsplash, bathroom wall and flooring decoration as well as swimming pool. Being the decorative wall mosaic and glass tile manufacturer since 2004, we make every endeavor to supply high quality glass and stone mosaic in cheap price. Our mosaic series featuring the contemporary finish of bathroom wall, kitchen backsplash or countertop and swimming pool tile design. It is always our main goal to develop and explore the product lines to have something for everyone. Now, our mosaic line include: Jade tile and mosaic, Jade is a kind of beautiful natural stone, they can work well with water and is perfect to install in swimming pool; For Glass mosaic or glass tile (also know as subway tile), you can go for chic or traditional as and has many different colors and sizes, there is always something that could suit your style; Natural stone mosaic such as marble, granite, travertine, light or dark emperador mosaic tile which are very popular, fashionable and long-lasting style; Stone plus glass mosaic is a mixture of nature and artificial mosaic style that can have unlimited combination depends on your infinite imagination; Shell mosaic is precious materials and express a high class, elegant, and unique feeling style; Slate mosaic is used in forming variety of mural patterns to apply on wall and floor; Resin mosaic is going to be the future mosaic trend because it encourage innovation, nothing becomes impossible; Sandstone is with beautiful sculpture together with a wide variety of colors manipulation; Stainless steel metal tile mosaic gives a cyber impression, it’s not limited to the original silver color, but it has black, rose, copper tone colors as well. And we also have the metal and glass tile which combine the both the reflective features of glass tile and the cool look of metal tile. All the above mosaic tiles are great for exterior as well as interior wall or floor covering uses.